I have several Walkmans, but one of my favourite is the SRF-M37W. It is no longer in production, but today I was able to pick up a second one for $1 at a yard sale. Now I'll be able to keep one at home and the other here in Florida. Alright! You're then radio man! Oops. I see it still is available new, online from Walmart. 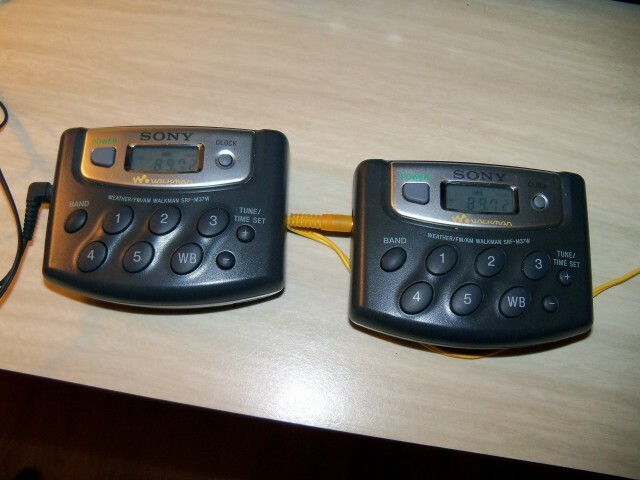 I have a couple of Sony walkmans.. i remember having a yellowish one frmo the early 1990s right up to... 2005-ish when it finally died. i loved it. was a good, rugged little thing that survived all the jogs and bike rides i took it on. 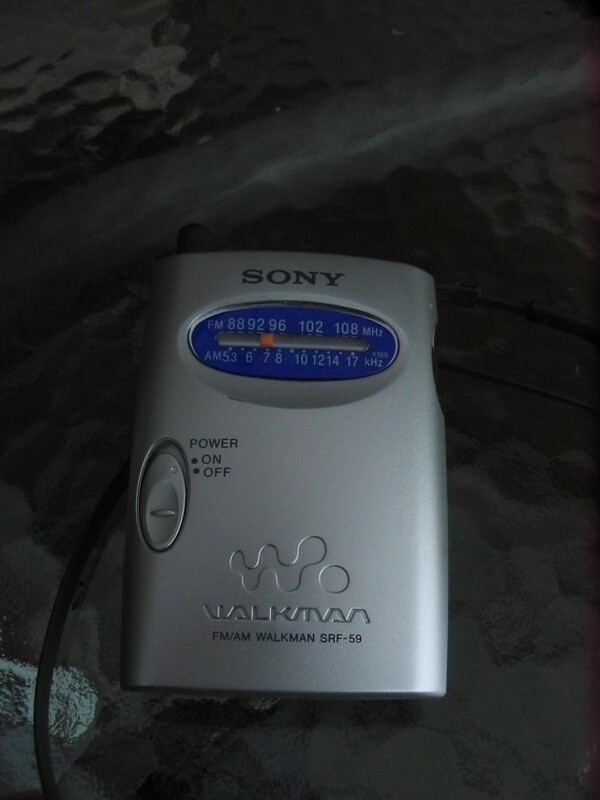 found an older mid-1980s walkman at a yardsale too... love all the silver finish on that one.. I still have mine, best little radio. I keep it in my emergency back pack. The radio sucked as far as reception goes, but the sound quality was quite good. I still have it in storage and I believe it still works. I had a few of similar tiny Radio/casette players. They worked fairly well on FM , used the earfone cord as an antenna, but miserable on AM with no room for much ferrite loopstick inside, maybe could get 5 or 6 local stations. I have this SRF 59, I got about 8 years ago. At the time it cost around $15. They're no longer on the market and I've heard that used ones are now going for up to $50. Probably more by accident that by design, it has a super AM section. 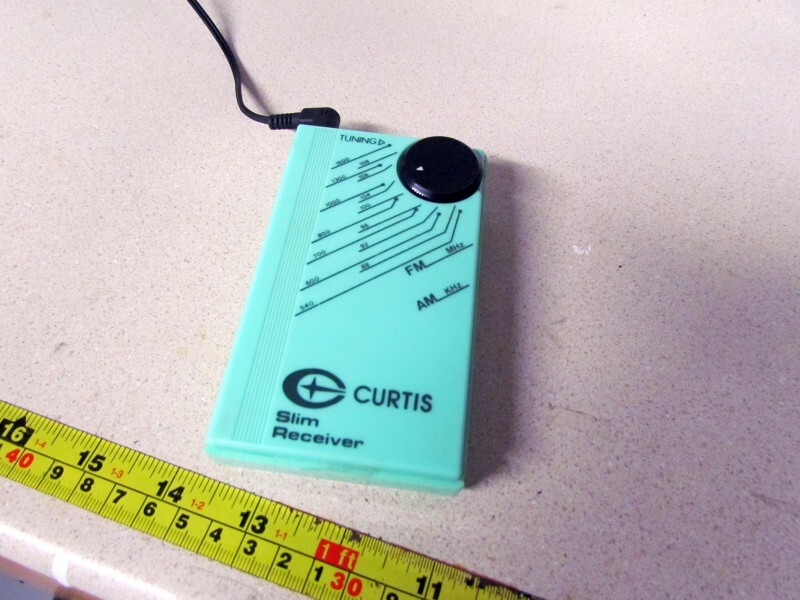 That has made the radio a real hit with the ultralight DXers. It is a pretty hot little radio but the analog dial is tiny and the calibration isn't very accurate. I use it all the time when I go for walks. Once, I took it out of my pocket when I got home and forgot to shut it off. I picked it up 4 days later and it was still playing. I had one to the battery life is 100+hrs mine was chopped up by my ridding lawn mower the belt clip gave way and that was it. I bought an SRF-59 new a few years ago, and still have it. Performance was okay, but nothing legendary. My 1970 Realistic Solid-State Diplomat (Radio Shack house brand) is better than my SRF-59 for AM DX, has a speaker, as well as an earphone jack. Of course, it lacks FM, and is twice as thick as the SRF-59. Last edited by innate-in-you on Sat Nov 17, 2018 2:14 pm, edited 2 times in total. SRF 38 to get more information. Nothing came up. 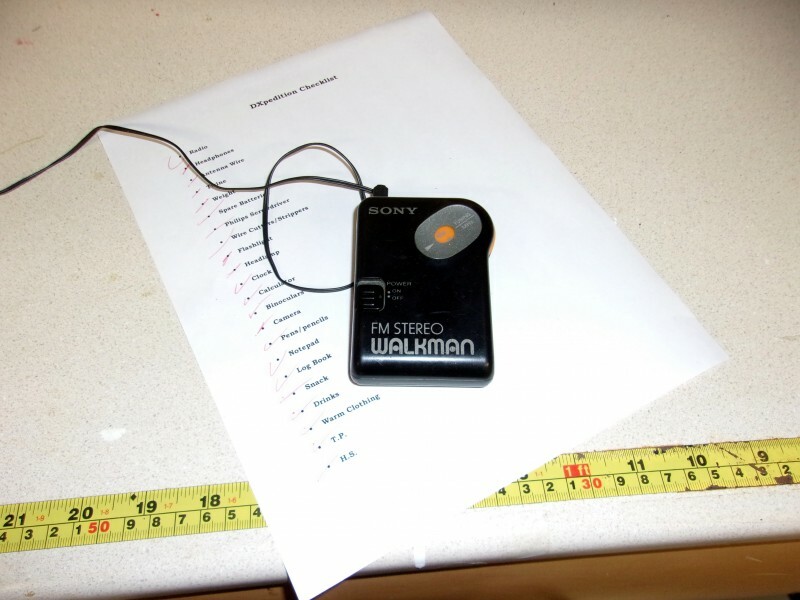 Back in the late 70s or early 80s, when the Walkman was first introduced, I'd have loved to have one. But we were dirt poor back then and I couldn't even dream of owning a Walkman. My wife, bless her heart, saved up her money and got me this for Christmas. I accepted it gratefully and didn't tell her it wasn't really a Walkman. I still have it and it still works. It's a pretty decent radio. It's AM - FM but the FM is only mono. Back then, the only FM station where we lived was CBC and it was only mono anyway. 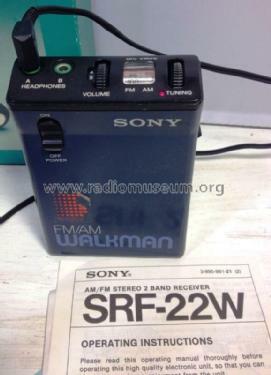 The actual main radio I still use for late-night AM listening is a Sony SRF-22W Walkman that I won as a door prize in the early 80s. The AM receiver is amazingly hot and quite selective. FM section however is not too great. FM front end is prone to overload and intermod, even though I'm some miles from nearest FM site. It does have a Local-DX switch but it attenuates too much, knocking out both the intermod and the desired station. That's one I haven't seen before. Thanks for posting it.